SPINiT Casino is a brand new thing on the market, launched in October 2016 by a group of experienced gaming enthusiasts. This is the same crew that stands behind Casino Cruise, an online casino exceptionally well rated by both the players and the industry. Spinit is licensed and regulated by the Malta Gaming Authority as well as the UK Gambling Commission. Claiming it was created “by players, for players”, Spinit promises fast service, unbeatable offers and top-notch games. And they seem to deliver as well, featuring more than 1,200 casino games developed by some of the biggest industry names, solid welcome bonus with low wagering requirements and superb support. To welcome new members, Spinit.com has put together a Welcome Package consisting of $/€/£ 1,000 + 200 Extra spins. Your 1st deposit comes with a 100% match offer up to $/€/£ 200 and 200 Extra Spins. The 2nd one makes you eligible for a 50% up to $/€/£ 200. 3rd and 4th each come with a 25% match up to $/€/£ 300. In order to benefit, you’ll need to deposit a minimum of $20. Each of the bonuses is subject to 40x bonus amount wagering requirement. Extra spins are available for 24 hours and need to be wagered 40x before being converted to real money balance. Do note there are some terms linked to the availability of this offer. First is that deposits made via Skrill or Neteller cannot take advantage of the welcome package. Secondly, some countries’ residents are not permitted to receive any of the deposit bonuses or free spins. You can check the complete list within T&C section. What else is there? Well, each Monday you’ll get to boost your bankroll with a 25% up to $100 Reload bonus. The Spinner’s Choice invites you to claim Extra Spins and Reload Bonus on the Game of the Week each Wednesday. Stay on the lookout for other special offers by regularly checking your Inbox. Becoming a VIP spinner, you’ll get to enjoy quite a few special benefits: exclusive week-end promotions, personal cash-back offers, exclusive bonus plan and a few more. On top, you’ll enter the regular Monthly Prize Draw which awards 1 lucky Spinner a VIP-fitting prize. There is no points-collection scheme; you’ll earn your VIP status based on the time and money you invest in playing. Spinit.com features an impressive library counting more than 1,200 different games and a huge variety of themes. Category tabs allow you to quickly access Popular Games, Video or Classic Slots, Jackpot and Table Games, Video Poker, Scratch Cards and Live Casino. If you know exactly which one you’re looking for, search by name is also on offer. 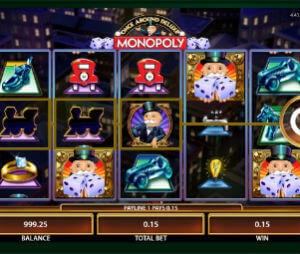 Games are available in Instant Play and two modes, so you can play for cash as well as for fun. Long list of developers includes the likes of Microgaming, NetEnt, Play’n Go, Evolution and NYX. With featured number of games, you’re sure to find all their best and newest, including the tempting Jackpots promising mega wins. Even if it’s called Spinit, Casino is a an equally good destination for fans of variety of other games. You’ll get to pick from a number of Blackjack, Roulette, Poker and Baccarat variants and enjoy a nice selection of Video Poker and Scratch Card games. Live Casino is part of the offer, though at this moment still limited to only a few live tables. When you’re out and about , you can access Spinit.com mobile site. About 200+ games can be enjoyed with the help of your iPhone, iPad or Android mobile device. A number of deposit options are at your disposal, including Credit/Debit cards (Visa, MasterCard), E-Wallets (Skrill and Neteller), Prepaid Cards, Instant Banking, Fast Bank Transfers and Bank Transfers. The minimum amount accepted is $10 and the maximum you’ll be allowed to deposit in one transaction is $5,000. Withdrawals can be made using Credit and Debit cards, E-wallets and Bank Transfer. With processing time of up to 48 hours, E-wallets are your fastest option while the others will take 3-4 days. Not the fastest withdrawal casino online, but definitely not bad. You’ll be allowed to withdraw the maximum of $22,000 per month and up to $5,500 per week. So young and yet so good! Featuring a fantastic games library, equally in terms of numbers, types and developers, along with generous promotions and convenient payment methods, Spinit casino is certainly off to a good start. Add to that a friendly user interface and Instant Play allowing you to try the games prior to registering, they really give credibility to the claim “by players, for players”. One thing that will surely make this casino stand out is that it uses specialized technology to analyse players’ habits and adapt bonus offering to their playing preferences. Quite impressive that, isn’t it? With all it offers only couple of months into its existence, Spinit has the makings of a truly outstanding casino and we’re sure to stick around to enjoy it.